Stefanie Dubois was born and raised in Southern California. After graduating high school, she moved to Las Vegas, where she gained employment in the manufacturing and gaming industries. Fifteen years, a husband, and a son later, an opportunity presented itself that opened the next chapter of her life. Stefanie’s husband, Clay, was offered a tech manager position in Macau. It was an opportunity they couldn’t refuse, so the family sold their home and relocated. They spent the next three years experiencing new and fascinating cultures, meeting wonderful people, and exploring amazing countries. Their travels led them to the Tian Tan Buddah statue on Lantau Island, Hong Kong, to the Great Wall of China at Badaling, to the beautiful beaches of Ko Phi Phi Don, Thailand, strolling through Clarke Quay in Singapore, and up the 600+ steps to the Seven Wells Waterfalls in Langkawi, Malaysia (okay, maybe not up all of them.). In between explorations, her husband worked in the casino, and her teenaged son attended an international high school. This gave Stefanie free time to pursue writing. To date, she has completed several short stories and is currently finishing her first young adult novel. The three years spent in Macau spawned some of her most beloved memories. Once back in the States, she resumed employment in the Las Vegas gaming industry. After several more years working in the comfort of slot machine orders, she decided it was time climb out from under her security blanket and try something new. Looking back on her career decisions, she realized there was one common factor in all of her successes: managing projects from beginning to end. Stefanie thrives on being handed an assignment and overseeing it through the various steps of its process, to ensure a successful outcome with superior customer service and a satisfied client. With this basis, the idea of working in real estate was born. 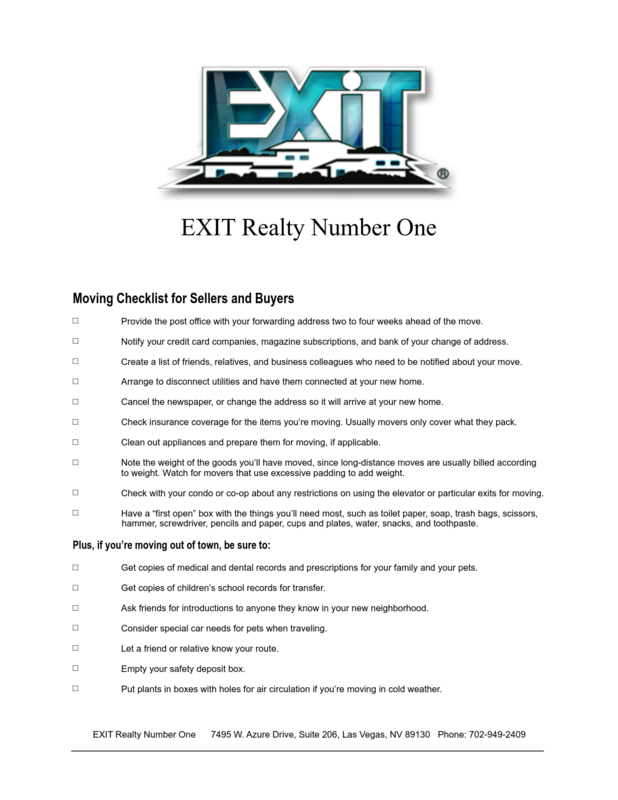 After obtaining her license, Stefanie joined an amazing team at EXIT Realty Number One. She is learning from the best, and continues her dedication to providing honest, top-level service to her clientele. Whether buying or selling, she will be by their side, representing their best interests, until the end.